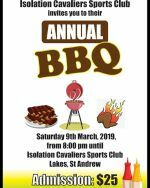 The Isolation Cavaliers Sports Club will be holding its Annual Barbecue on Saturday on the grounds of the Sports Club. 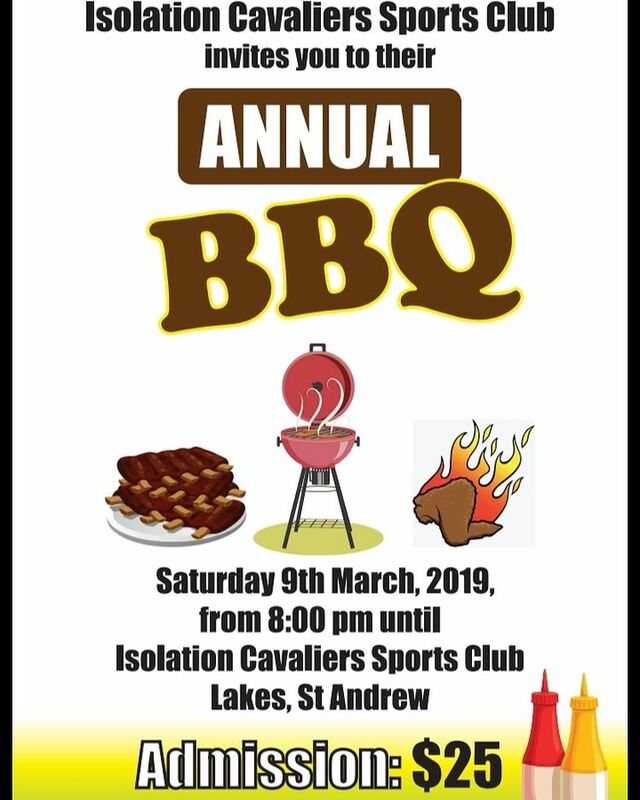 Music by DJ Wizard International. Good food and good vibes.